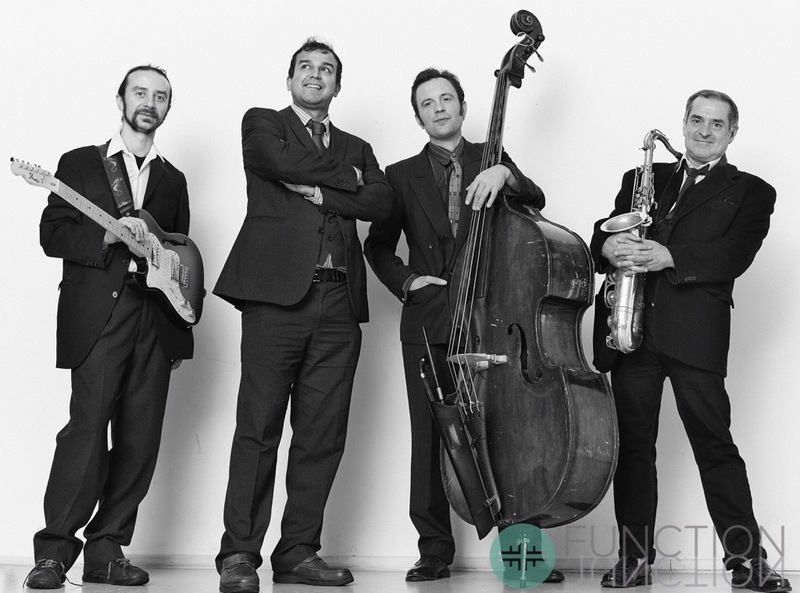 5-piece Jazz band, male lead vocals, up to 1hr 45mins of live music, Recorded music during breaks. 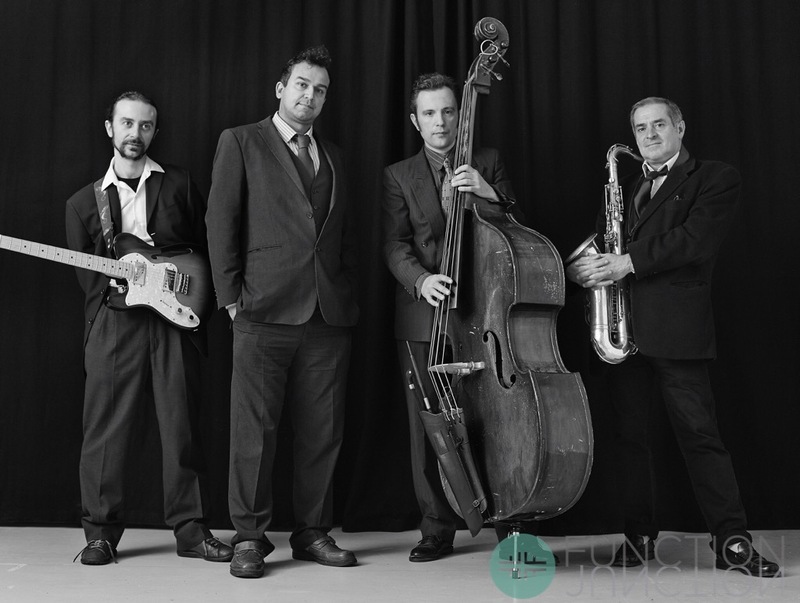 The Chairmen are a London based 5 piece Jazz Swing Blues Band bringing you an energetic repertoire of classic tunes from the 30s, 40s, 50s and 60s, establishing a strong reputation as real crowd pleasing entertainers. 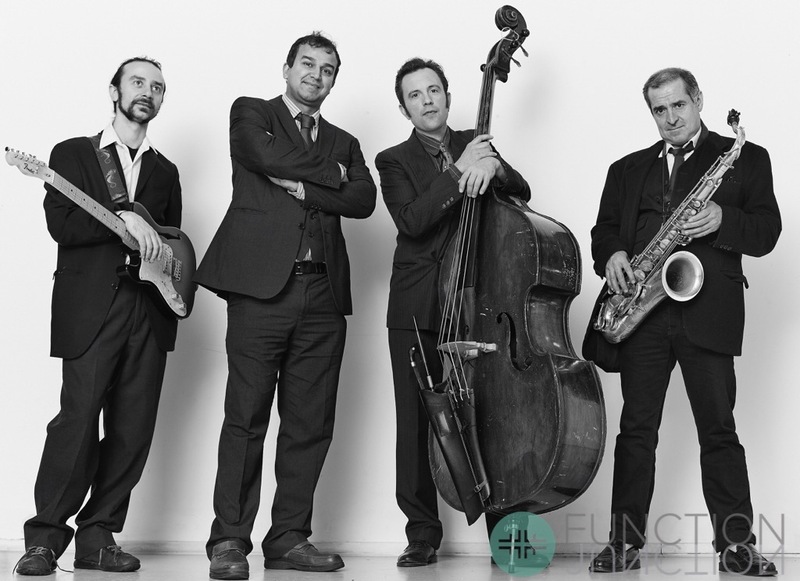 They are available for all types of functions, dinner and corporate events both in London and beyond, having spent the last year establishing ourselves as one of the leading Jazz Swing Bands on the London Jazz scene. Their lineup consist of vocals, saxophone, double bass, guitar and drums. They have a very international feel to the band as their members originate from the UK, Australia, Spain and Italy. All members have had success in previous bands and projects, performing on international tours and festivals, appearing and producing records and CDS. Currently, members of the band are also working producing an album of their original songs. Thier influences include, Frank Sinatra, Ella Fitzgerald, Dean Martin, Louis Armstrong, Sarah Vaughan, Elvis, Peggy Lee, Mel Torme, and many more. They cater for all types of events and environments, ranging from providing music for more relaxed environments to those events where people want to dance and have a full interaction with the band.
" You guys had them in the palm of your hand"
"You guys were great! Come back soon"
"Really Good-Would love you to come back"